We provide a wide range of services in educational consulting and development. Always working closely with our clients. Certification is an officially recognised document certifying that the holder has the knowledge and the skills in order to perform a specific profession. Certification offers increased possibilities of finding a job and adds prestige and fast professional development. Prove your Windows Server 2016 skills by having a Microsoft certification. Windows Server 2016 certification qualifies you for a position as a network or computer system administrator or computer network specialist. You can earn MCSA: Windows Server 2016 certification by passing the three exams: Exam 70-740 Installation, Storega and Compute with Windows Server 2016, Exam 70-741: Networking with Windows Server 2016 and Exam 70-742: Identity with Windows Server 2016. Ace Training Centre can prepare you for these exams and since its also a Pearson VUE exam center, you can take the exam here if you wish. CISCO Certified Network Associate (CCNA) Routing and Switching is a certification program for entry level engineers that improves your networking knowledge. CCNA Routing and Switching (R&S) is for Network Specialists, Network Administrators and Network Support Engineers with 1 to 3 years experience. You can earn CCNA R&S certification by passing two exams: Exam 100-105: Interconnecting Cisco Networking Devices Part 1 and Exam 200-105: Interconnecting Cisco Networking Devices Part 2. 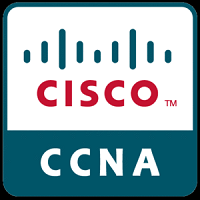 Instead of the above exam you can take only Exam 200-125 CCNA. ECDL is the world’s leading computer skills certification. To date more than 14 million people have engaged with the ECDL programme, in over 100 countries. The ECDL programme defines the skills and competencies necessary to use a computer and common computer applications. It offers a wide range of modules including Computer Essentials, Word Processing and IT Security. Candidates take tests in the modules which are most relevant to their educational and professional requirements., thereby creating their ECDL Profile. Whether in school, university or in the workplace, ECDL offers the skills you need to succeed. To achieve an ECDL Standard Certification, the candidate must successfully pass an exam in the 4 Basic modules plus 3 Intermediate modules. Basic modules: Computer Essentials, Online Essentials, Word Processing, Spreadsheets. Intermediate modules: Presentation, Using Databases, IT Security, Online Collaboration, Image Editing, Web Editing, Project Planning, 2D CAD, Health Information System Usage, ICT in Education, Digital Marketing, Computing, Information Literacy and Data Protection. Advanced modules: Advanced Word Processing, Advanced Spreadsheets, Advanced Database, Advanced Presentation. MikroTik offers a range of training and certifications all through the MikroTik Training Centers (MTC). MTC’s are separate entities conducting intensive training sessions and certification tests according to the official MikroTik Training Outline. Ace Training is organizing training sessions and exams regularly. You can only take the exam at the end of the training sessions. Candidates who do not attend a course are not allowed to take the exams. Since 2012, Ubiquiti Academy’s certification program has rapidly expanded, overseeing the training of more than 10,000 students worldwide. 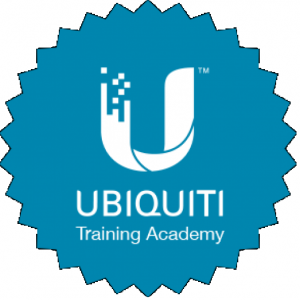 Today, Ubiquiti offers seven different courses with varying scope and level of expertise so you can begin or develop your career in the Broadband (ISP), Enterprise and Solar industries. Ace Training is offering Ubiquiti’s training and Certification since 2016 and is organizing training sessions and exams regularly. You can only take the exam at the end of the training sessions. Candidates who do not attend a course are not allowed to take the exams. TOLES means ‘Test of Legal English Skills’. The TOLES programme consists of a structured course of legal English training materials supported by three levels of professional exams. The exam levels are progressive steps towards reaching the standard of legal English required to practice law in English language as well as by employers such as international commercial law firms, in-house legal teams in private companies and top-class translators. The TOLES exams are the world’s leaders in legal English exams recognized by international legal companies as well as by the Law Society of England and Wales.